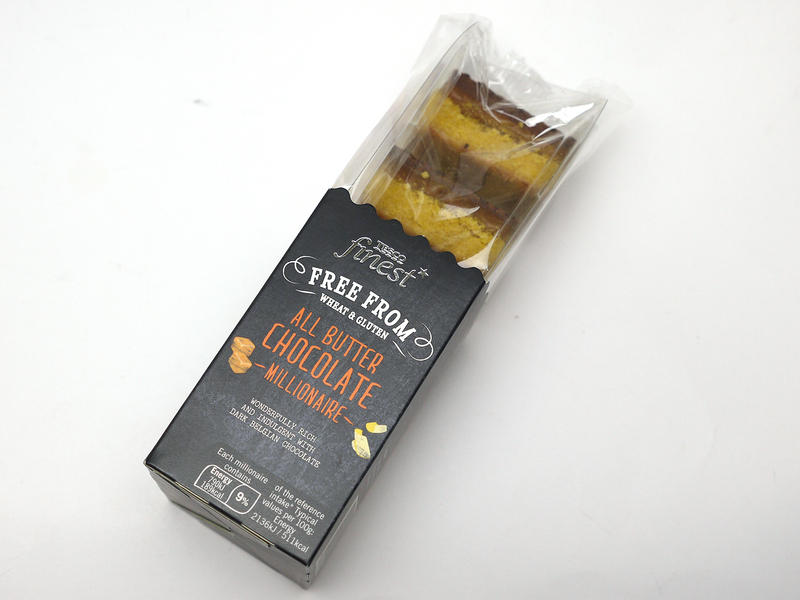 Tesco’s Finest Free From Millionaires Shortbread are a premium gluten free, though not dairy free, alternative to the real thing. They’re pricey, at around £2 for a pack of five, though each piece is a decent size. Crucially, though, these do at least taste genuine, unlike the Morrisons equivalent (though in fairness, the Morrisons one is dairy free too). There’s a strong caramel flavour, a hint of chocolate and you can immediately sense the unctuousness of the all butter recipe. However, the chocolate is a little thick, causing the caramel to squidge everywhere when you bite in, plus it’s hardly the most flavoursome chocolate I’ve ever tasted. The biscuit is a bit insipid too. It’s a solid effort but falls short of providing the real satisfaction that such a treat should provide.